Gonna catch 'em all with this Pokemon Eevee Evolution Tattoo Print Crossbody Purse! 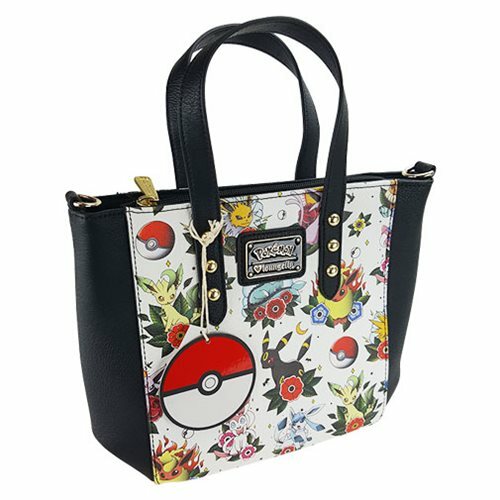 This faux leather crossbody tote bag features a tattoo style print of the various starter pokemon. Includes handles and a removable sholder strap. This Pokemon Eevee Evolution Tattoo Print Crossbody Purse measures approximately 9-inches x 10-inches x 4-inches.